Monique assists her clients in the form of individual Health Consultations for either yourself or in a couple setting. This is where you get to speak to a qualified expert in a one-on-one setting where you can ask those “not-so-stupid” questions, find out the causes of your problems, learn and be educated on how you can maintain good health, or simply just discover it! Monique encourages the practice of healthy lifestyles, a balanced diet and the use of natural, nutritional and herbal therapies, where indicated, to help resolve any health issues you may be presenting with, or just to maintain your vitality! Monique can often recommend other diagnostic investigations in the form of Blood Pathology testing, salivary hormone testing, Functional health testing, food intolerance and Allergy testing and even stool analysis, to further assess your state of health and give her the most educated and informed idea about what could be causing your concerns. For your first Health Consultation, you should allow from 1 – 1.5 hours as Monique likes to take a very detailed health history to find out what is happening to your body. Within this time, she will discuss areas such as your Digestive System, Endocrine or Hormonal System, Immune System, Skin, Nervous System (including energy levels and sleeping concerns), right down to how you are feeling emotionally. Consultations are individual which means that you receive one on one attention from your Practitioner so they are better able to create effective treatment plans and advice customised for you. Toward the end of your consultation, Monique will discuss the possible reasons ‘why’ you are experiencing problems and she will explain and educate you on what needs to be re-balanced and discuss how she can help you. This all depends on your state of health and your treatment program that both you and your Practitioner have devised. You can discuss with Monique how many consultations you may require, however if you are being treated for something more chronic, then follow up appointments every 2 months or so may be performed. In the initial stages of your treatment, it is common for patients to return between 3-6 weeks until things are sailing smoothly again, which means that you can come in for a visit on a as-needed basis after this. Follow-up consultations last 30 – 45 minutes, which can be arranged at the end of your first consultation. It is important to have these Follow-up appointments as you should allow your practitioner to review the progress of your treatment protocol – we may need to “fine-tune” your treatments to suit your changing needs! Will I be prescribed any supplements? Monique uses a large range of methods to get your health back on track, some of which include supplementation to assist your body to repair, heal, re-balance and re-energise. MK Natural Health Greenslopes has one of the largest compounding Herbal and Nutritional Dispensaries in Brisbane, which means we are capable of creating medicines specially designed just for you. This may include specially compounded nutritional and herbal powders, blended herbal remedies, nutritional and herbal tablets or capsules as well as topical creams. This way, if you do require some supplemental support for your health, we can ensure you are taking a few very specific and tailored products, instead of 20 different things all trying to support you. No more swallowing 10 tablets before breakfast! Appointment via Skype or Phone? Whether you don’t live in Brisbane, are too busy to come into the clinic, have kids at home that you can’t leave or are just unable to get to clinic, you can definitely still consult with us via Skype or Phone Appointments. We have many clients who live all over Australia, in the Country, some in Asia and those who travel overseas frequently who cannot get to see us in person. We happily perform consultations via phone or Skype, and any supplements can easily be posted directly to your door or arranged for collection. 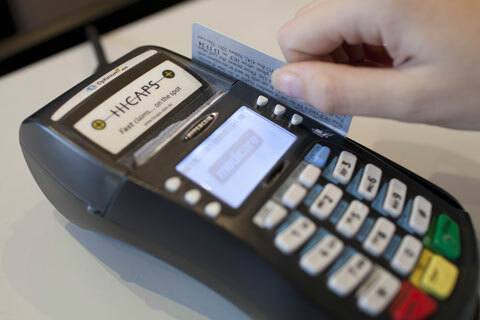 We have a HICAPS machine which means that you can claim your eligible Private Health fund rebate on the spot and only pay the gap of your appointment fee. Too easy! Your rebate amount on your appointment depends on your level of cover with your individual health funds but can range from $20 to $90. Please refer to your health policy to find out which services you are entitled to receive rebates on (you must be covered for Naturopathy to be able to claim). Payment can be made with Visa, Mastercard and Cash. Apologies, Amex and Diners cards not accepted. Payment is required at the end of every appointment as we do not keep accounts, thank you. Pay only the Gap Fee on Appointments! No Hidden Secrets. No Expensive Lock-Ins. Ready to Make a Change to Your Life? Browse our online booking system now to find a time suitable for you!